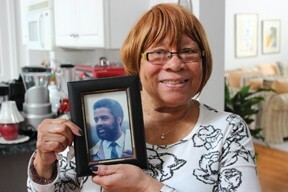 Dr. Donald Brown was an extraordinary person, and he and his wife, Jessie Brown, had an extraordinary love for each other. Sometimes you wonder at the fate that works to bring two souls together. 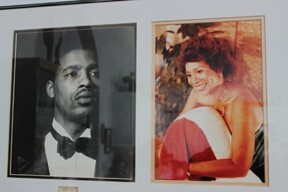 Donald was living in Washington DC and Jessie in Virginia Beach when a mutual friend introduced them. Jessie thought she had never met a man who had so much—looks, personality, intelligence and manners. They ended up sharing the next 36 years of their lives. Eleven years ago, Jessie decided that they both needed to schedule physical exams. Jessie’s nagging finally forced Donald to have a routine colonoscopy. Results revealed cancerous polyps, which marked the beginning of a long journey. During the ensuing years, Donald received various treatments; went in and out of remission and in and out of the hospitals. As Donald became weaker, Jessie’s anxieties grew, as did her need for help. 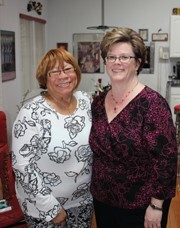 Fate acted again in their favor, Jessie believes, when a friend told her to call Delaware Hospice for help from their Transitions Program. Neither Donald nor Jessie were prepared to forego curative treatments, and therefore were not ready for hospice care. Transitions Program was established by Delaware Hospice to be supportive to patients and family members who were coping with a serious illness through visits, advice on where to find practical assistance, volunteer help, and phone calls. Delaware Hospice’s unique programs such as Transitions and New Hope for grieving children are offered at no charge to the community thanks to the generosity and faithful support of donors and volunteers. 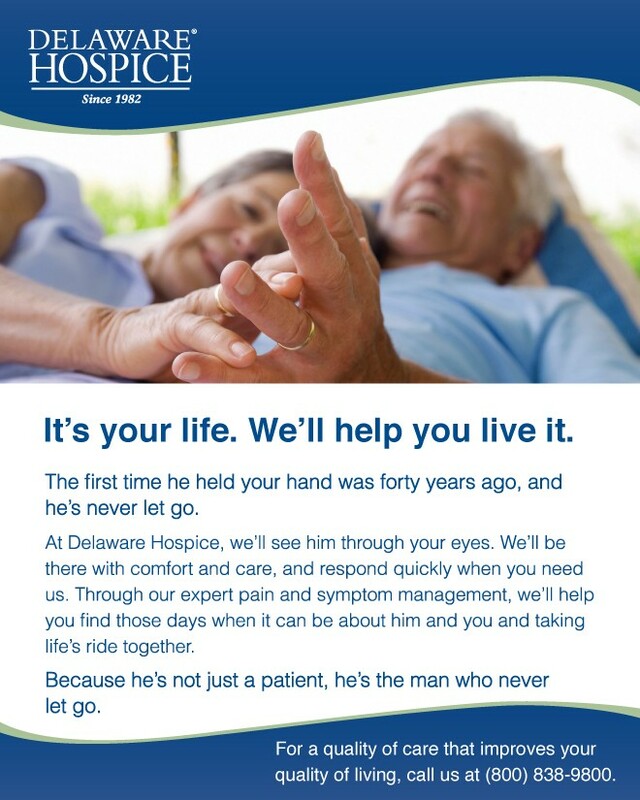 Learn more about how Delaware Hospice can help you cope with a serious illness or how you can support its programs by calling 800-838-9800 or visiting www.delawarehospice.org.